Let’s face it living in Long Beach, CA is expensive. Within the last 15 years Long Beach has experienced large redevelopment on Pine Ave and as a result the cost of living has drastically increased. Many people now living in Long Beach are struggling just to keep up with their finances. Did you know the average person potentially has hundreds of dollars sitting around in their home? Our pawn shop offers Long Beach residents the opportunity to use their items of value to get a quick cash loan. How Local Pawn Shops In My Area Work? Getting a cash loan from a pawn shop near Long Beach is fast and convenient. Bring in an item of value and use it as collateral. You have up to four months to repay your loan. Interest fee’s vary on the amount you borrow however we offer a discount if you take out your item before the due date. There is no credit check required, and all you need is a valid form of ID and be 18 years of age. People choose to use a pawn shop near Long Beach as opposed to a credit card because there is no monthly payments. You simply pay back your loan within four months. Our clients have the option to pay the interest fee and renew their loan and receive an additional four months. 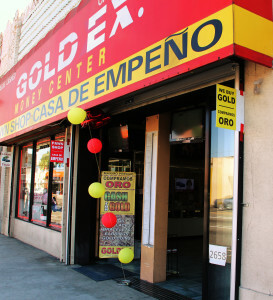 Gold Exchange has been voted “the best local pawn shop near Long Beach and surrounding cities”. What makes our pawn shop experience unique is the simple approach we use. Our bilingual staff will assist you and properly explain the entire pawn process. 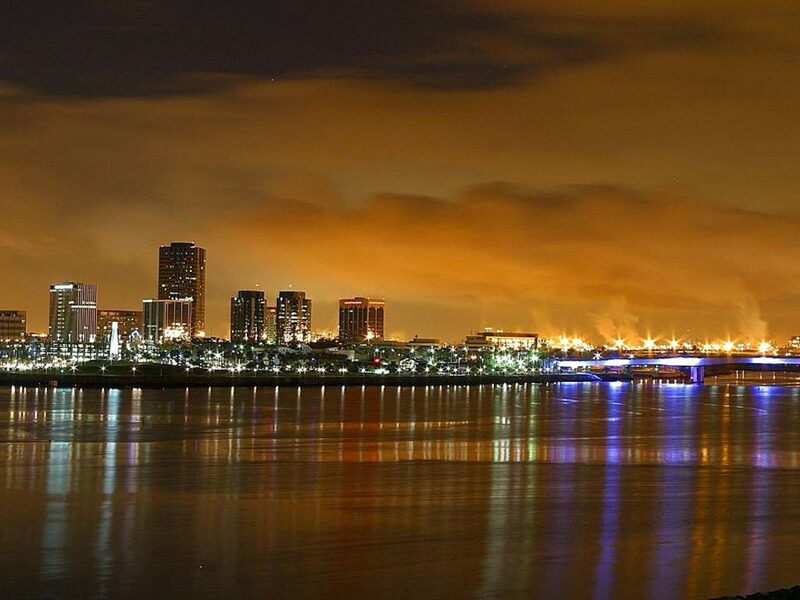 Long Beach is a coastal city located off the 710S freeway. It is one of the largest multi cultural beach communities. Long Beach is broken up into sections North Long Beach, East Long Beach, Bixby Knolls, Downtown, Signal Hill, and Belmont Shore. California State University Long Beach (CSULB) is one of the top 3 largest Cal States and Long Beach City College (LBCC) has one of the best student transfer rates. Gold Exchange Boutique was voted 2016 best places that buy designer handbags in Los Angeles. Our luxury boutique buys and sells the hottest luxury designer brands. People from all over Los Angeles and local surrounding cities choose our boutique because we pay cash and there is no need to mail in your handbag. 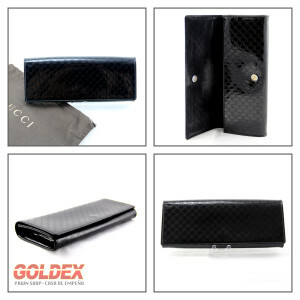 Our lead buyers are expert authenticators that specialize in luxury goods. We carefully evaluate each item for authenticity, condition and marketability. Based on the condition, size, and style we will make you a cash offer to buy. Unlike consignment shops and fashion boutiques we pay our customers cash for their luxury goods. Our offers are based on the most current pre-owned market value. 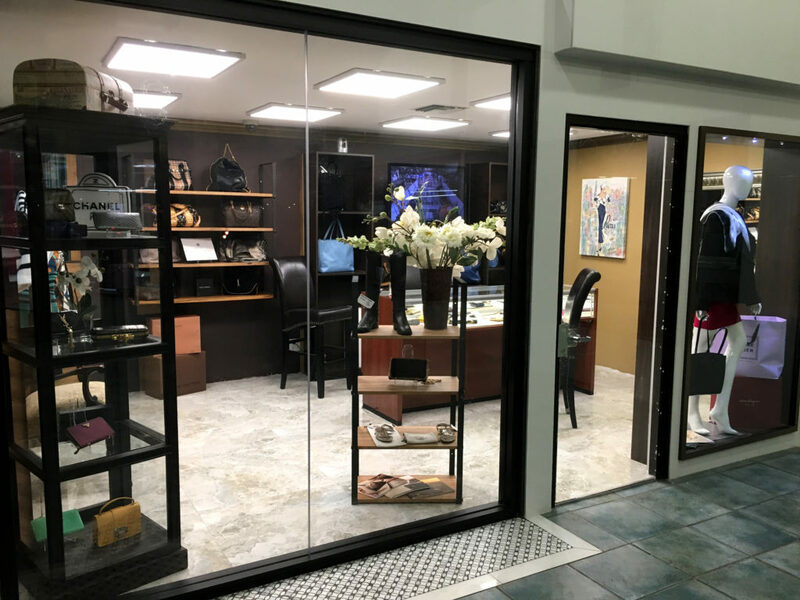 Our luxury boutique is local, located in Southern California in Los Angeles County. We offer complimentary evaluations, no appointment required. Our facility uses state of the art maximum security and and 24/7 surveillance. All transactions are safe, secure, and confidential. There is no need to mail in your handbag and you can expect to receive cash for your designer handbags and accessories. Looking to sell your designer handbag for cash? Here we are going to look at three reputable handbag buyers in Los Angeles that pay cash for luxury goods. When considering the best places that buy used handbags we rated these companies by payment, expertise, and convenience. Unlike consignment shops in Los Angeles, Gold Exchange Boutique pays cash for used designer handbags. Their boutique is upscale and deals in a variety of luxury brands. Their lead buyers are expert authenticators and specialize in pre-owned designer handbags and accessories. 3. There is no pressure to sell, you have the option to accept or reject their offer. 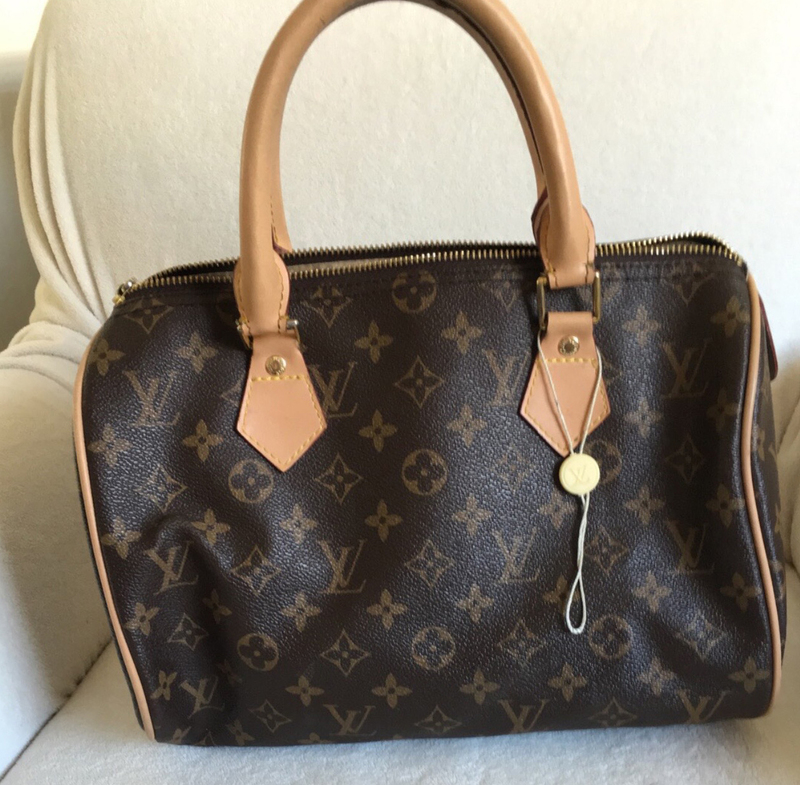 If your local (near Los Angeles, or SoCal) Gold Exchange is by far one of the best places that buy used handbags. Evaluations are free and they pay cash. Sell it Here Store is a convenient way to sell your designer handbags regardless of your location. They buy luxury goods from people all across the United States. Whats makes them different from local boutiques is that you have to mail in your handbag, and you get paid through a bank wire or check. The company provides a free prepaid labeled and makes arrangement with shipper. 2. Sell it Here Store provides you with a free pre-paid label that’s insured. 4. Once they receive your handbag they will make you an offer to buy it. 5. Accept their offer and they will pay you through bank wire or check. if you decide not to sell your handbag they will mail back your bag. The process will not cost you anything. Based out of Newport Beach, Ca Dreamlux Studio specializes in buying and re-selling designer handbags and accessories. Dreamlux studio strictly buys and sells online. Their buying concept is similar to sell it here store, you mail in your handbag and they make you an offer to buy. Whats makes Dreamlux studio different is that they offer to buy more luxury name brands. Also they buy signature designer jewelry and luxury watches. In comparing these three handbag buyers, Gold Exchange Boutique is the only one that pays cash and does not require you to mail in your bag. 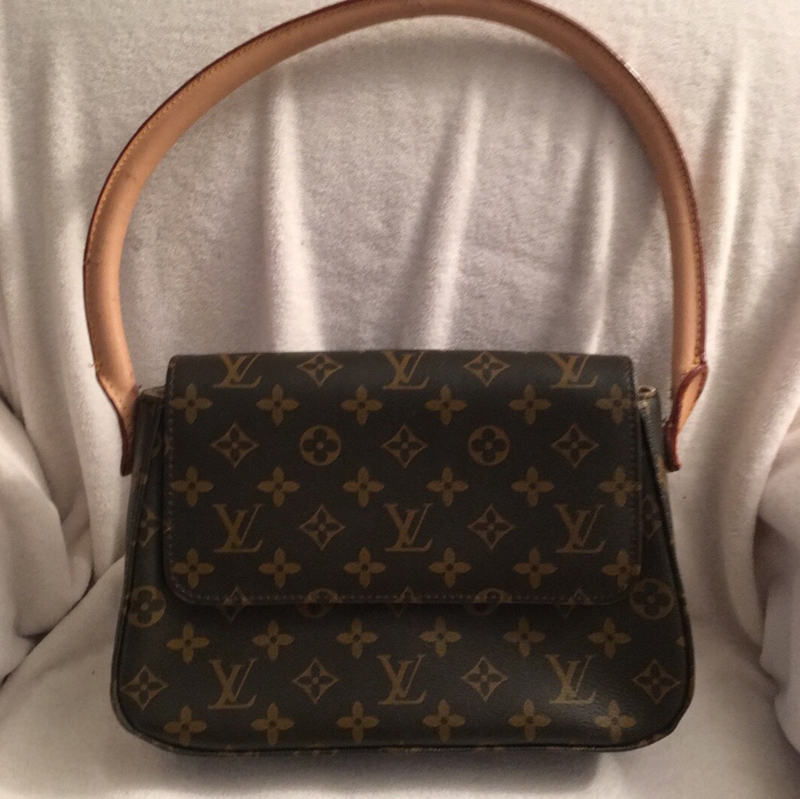 If your local and are looking to sell your handbags or wallets we recommend Gold Exchange Boutique as one of the best places that buy used handbags. If your located outside of Southern California we recommend either Sell it Here Store Or Dreamlux Studio. 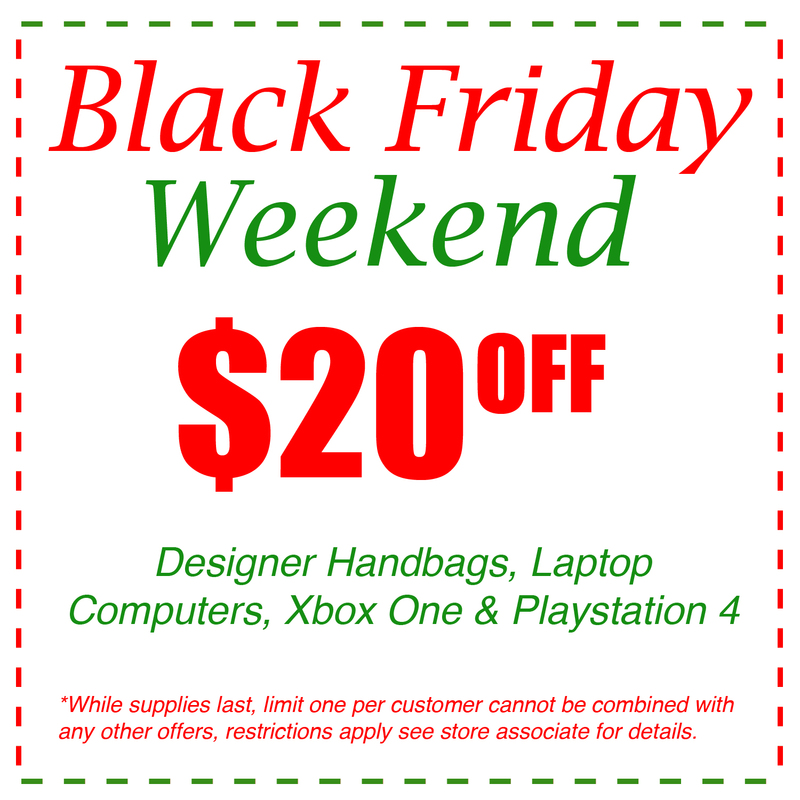 Both online handbag buyers are reputable and their process is safe and secure. Don't Be Fooled! 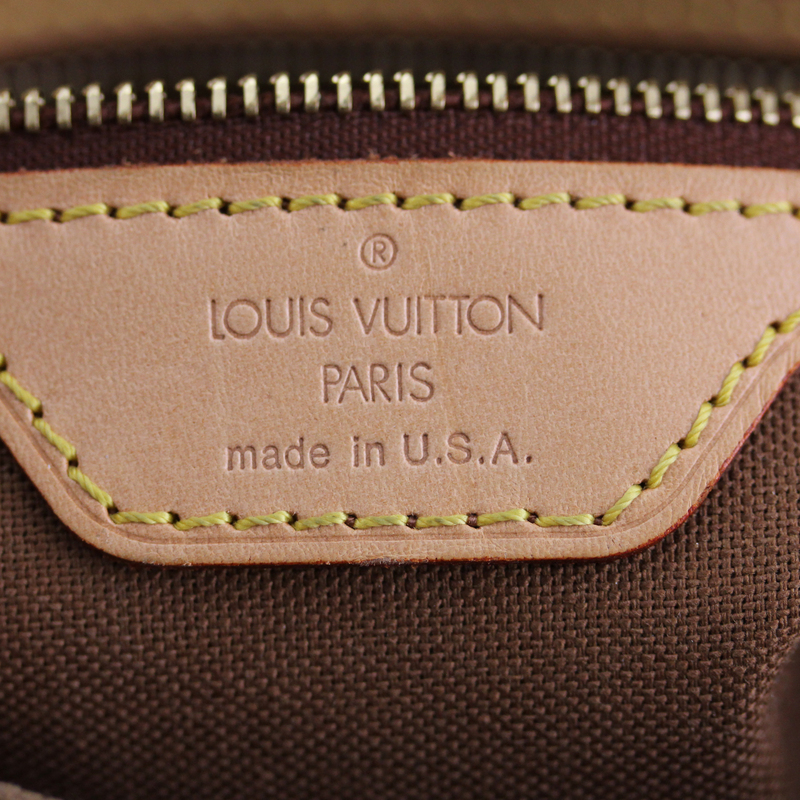 3 Steps To Spotting Fake Louis Vuitton Handbags. 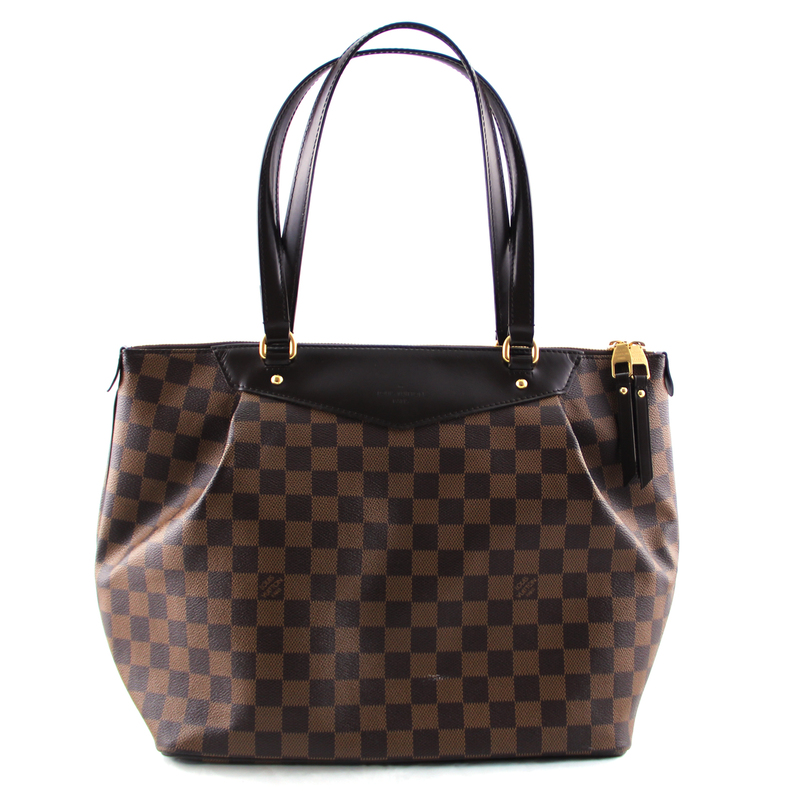 It's no secret Louis Vuitton handbags are the most popular desired bags. As a result many counterfeiters are busy mass producing replicas. The market is literally flooded with knock offs. With so many popular celebrities, youtubers, instagramers, and influencers wearing Louis Vuitton the demand for knock offs is hot! Over the years the counterfeit business has grown to become a multi billion dollar industry. 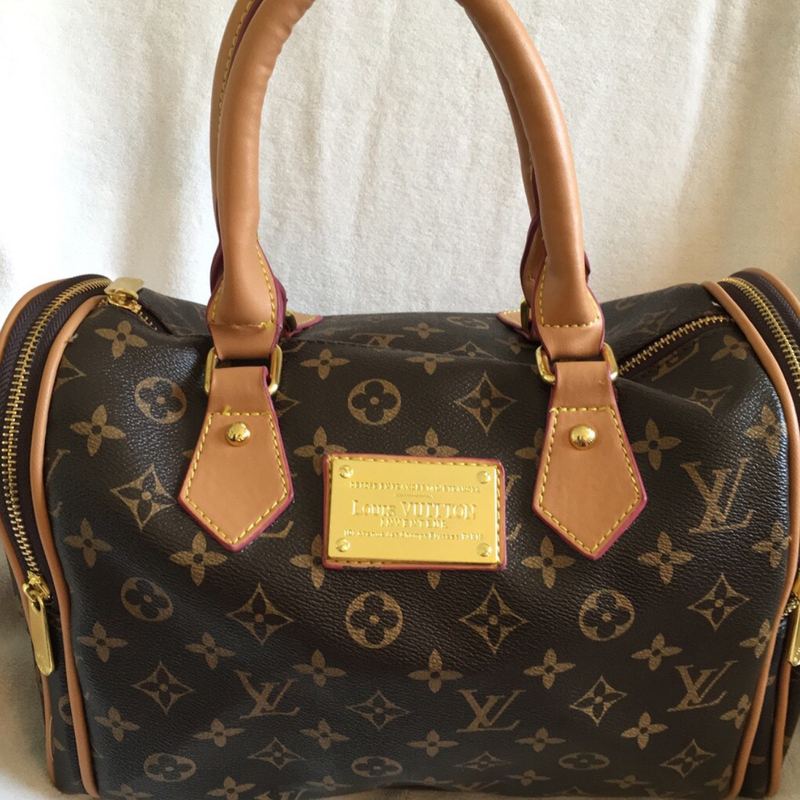 With a good eye and attention detail you can quickly distinguish between a real and fake used Louis Vuitton handbags. First and foremost research the bag you are interested in buying. This is important! Decide what bag you wanna buy, and get familiar with it. 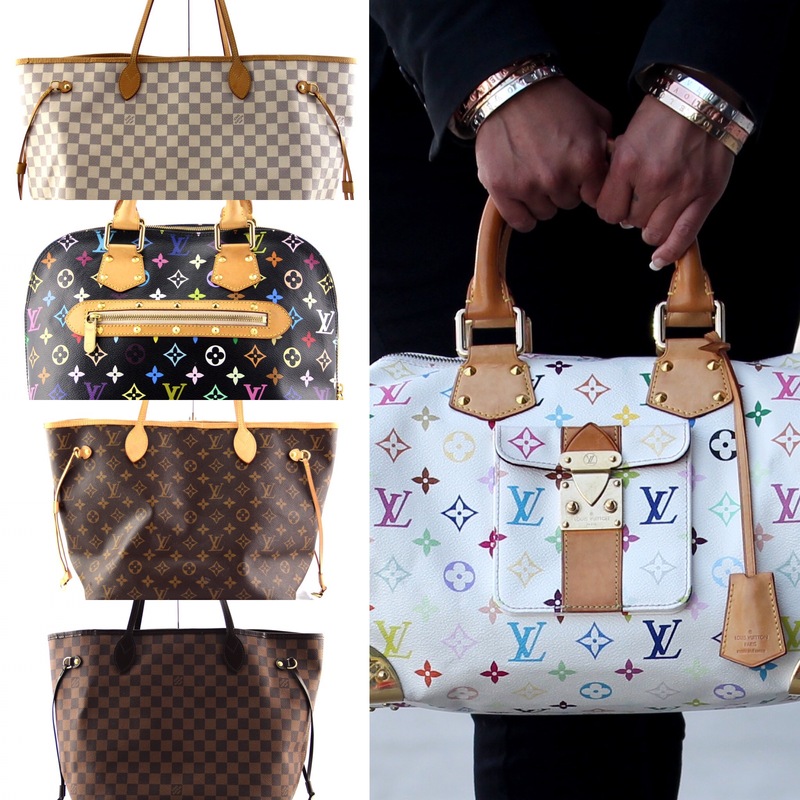 Typically Louis Vuitton bags come in different patterns and sizes. Monogram, Damier Ebene, Damier Azur, Multi Color Black, Multi Color White. Familiarize yourself with the bag and study the pattern. Louis Vuitton bags are symmetrical. Whether you look at the pattern vertically or horizontally it should be symmetrical all across. The lining in the interior is typically textile or suede. The textile should have a quality feel to it. 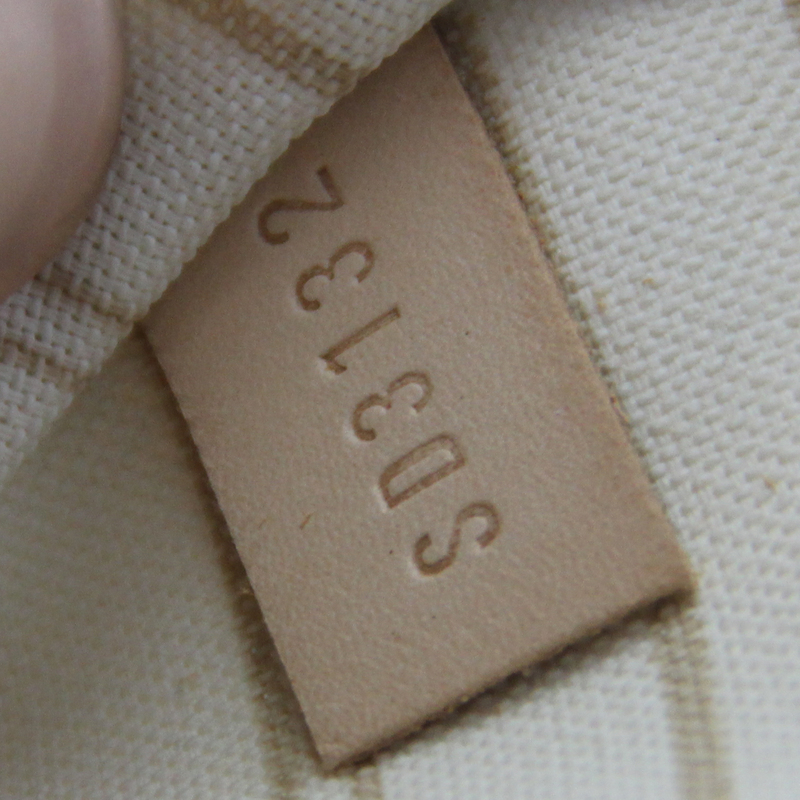 Every LV bag will include a date code either heat-stamped on a piece of leather or embossed on the suede. The date codes are bit tricky to find especially on suede. They are typically located inside an open pocket. The two letters represent the country where the bag was made and the four letters represent the week and year. 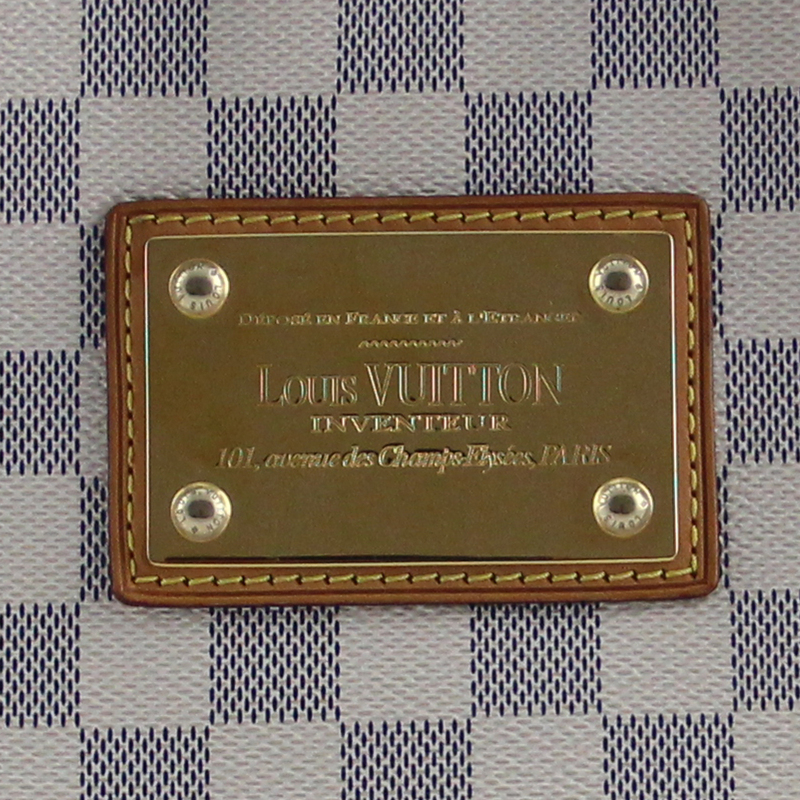 In 2006 Louis Vuitton made a subtly change in the order of the numbers. 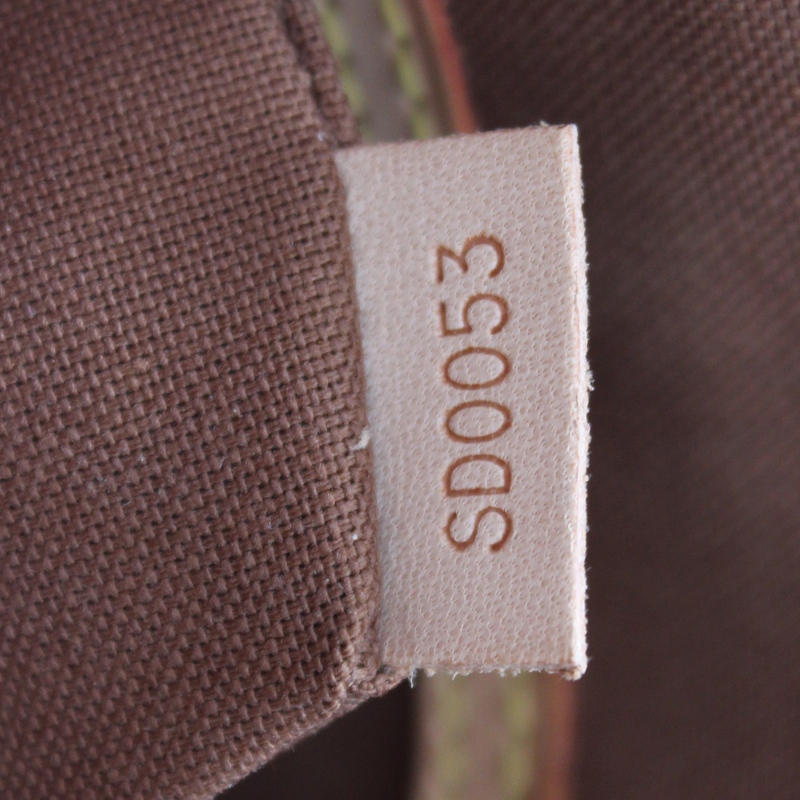 The first and third digit represent the week and the second and fourth digit represents the year that bag was made. This is Important. If the date code has letters and dashes or has more than four digits it's a fake. This is where attention to detail matters. Carefully examine the date code. If the bag is made in France make sure it has a France date code. Also look at the quality of the heat stamp. Make sure the heat stamp is evenly stamped across Neatly. 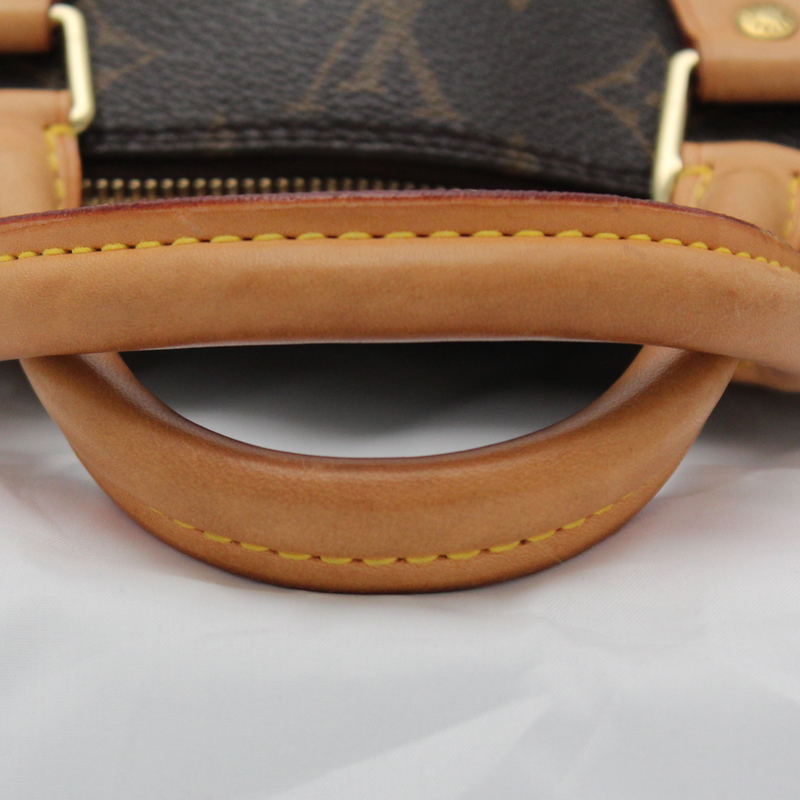 Louis Vuitton has strict quality control. Meaning they don't sell bags that are irregular, or have outlets, or offer discounts. Every bag is carefully inspected for superb quality and craftsmanship. Lastly look at the quality and craftsmanship. 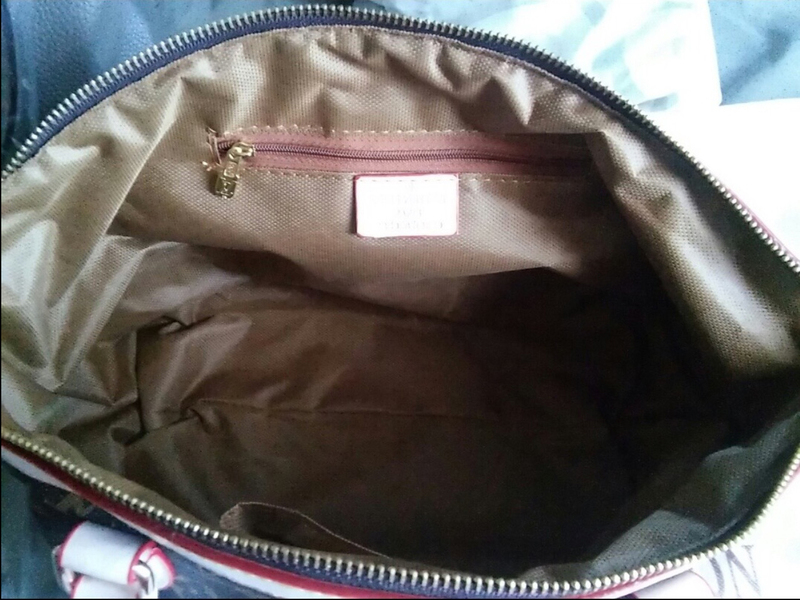 Each bag is hand stitched therefore the stitching should be slightly angled with thick threading. Depending on the condition there shouldn't be any loose threads. Most fakes use vinyl so make sure the bag indeed is leather and the handles are leather too. Replicas are mass produced quickly therefore they don't care too much about the quality. Look at the quality of the rolled leather handles and the dyed edges. Most replicas are cheaply made with vinyl and the color remains the same. 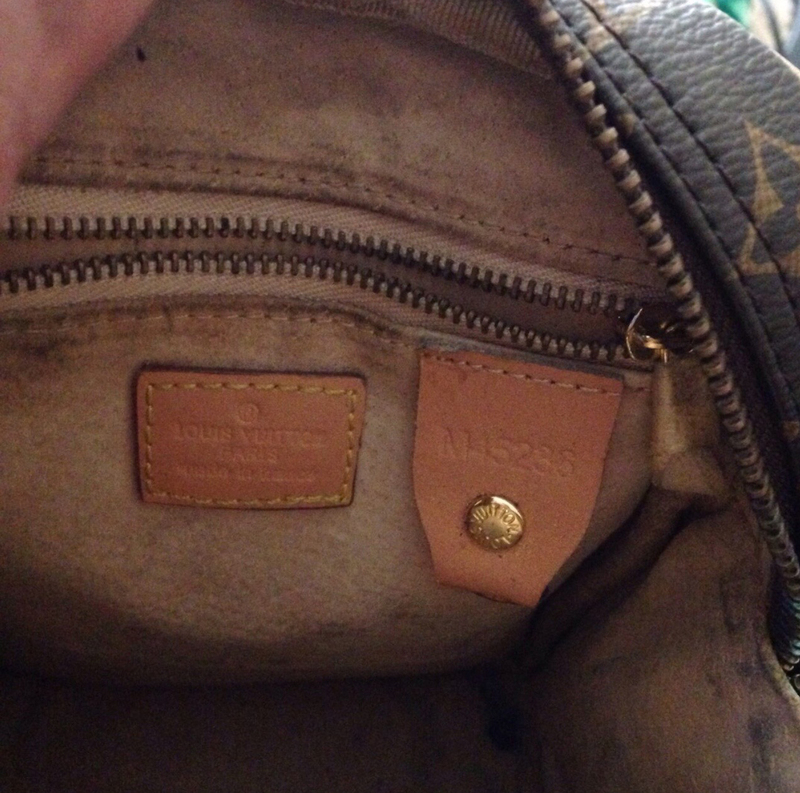 Genuine Louis Vuitton leather through time will patina and turn into a honey like leather. Think of it as a puzzle, all the pieces must be present for it to be complete. If one of the above is missing more than likely it's a fake. Keep in mind Louis Vuitton does not have authentication cards. 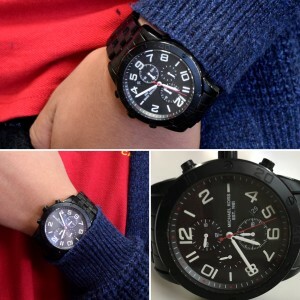 In the following photos we compare the differences between an Authentic and a Replica. The pictures of the replicas are actual listings for sale on Close5. 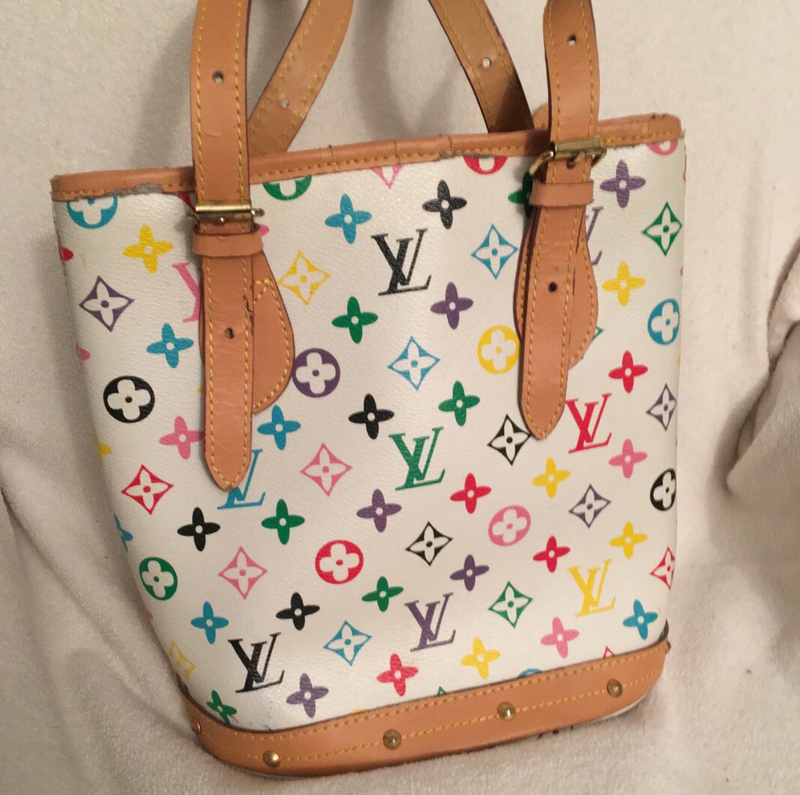 The worst part is the majority of the sellers are advertising these used Louis Vuitton handbags as authentic. Request A FREE Expert Valuation. Gold Exchange has been in business since 1979. We buy and sell new and pre owned luxury time pieces such as Rolex, Omega, Cartier, and more.